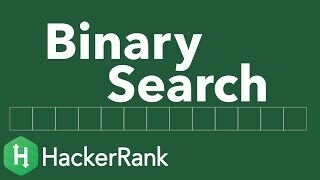 Check out the resources on the page's right side to learn more about binary search. The video tutorial is by Gayle Laakmann McDowell, author of the best-selling interview book Cracking the Coding Interview. Each time Sunny and Johnny take a trip to the Ice Cream Parlor, they pool their money to buy ice cream. On any given day, the parlor offers a line of flavors. Each flavor has a cost associated with it. Given the value of and the of each flavor for trips to the Ice Cream Parlor, help Sunny and Johnny choose two distinct flavors such that they spend their entire pool of money during each visit. ID numbers are the 1- based index number associated with a . For each trip to the parlor, print the ID numbers for the two types of ice cream that Sunny and Johnny purchase as two space-separated integers on a new line. You must print the smaller ID first and the larger ID second. For example, there are flavors having . Together they have to spend. They would purchase flavor ID's and for a cost of . Use based indexing for your response. Two ice creams having unique IDs and may have the same cost (i.e., ). Complete the function whatFlavors in the editor below. It must determine the two flavors they will purchase and print them as two space-separated integers on a line. The first line contains an integer, , the number of trips to the ice cream parlor. The first line contains . The second line contains an integer, , the size of the array . The third line contains space-separated integers denoting the . Print two space-separated integers denoting the respective indices for the two distinct flavors they choose to purchase in ascending order. Recall that each ice cream flavor has a unique ID number in the inclusive range from to . The first time, they pool together dollars. There are five flavors available that day and flavors and have a total cost of . The second time, they pool together dollars. There are four flavors available that day and flavors and have a total cost of .